It is a trite maxim, but the Phillies need to take advantage of it. 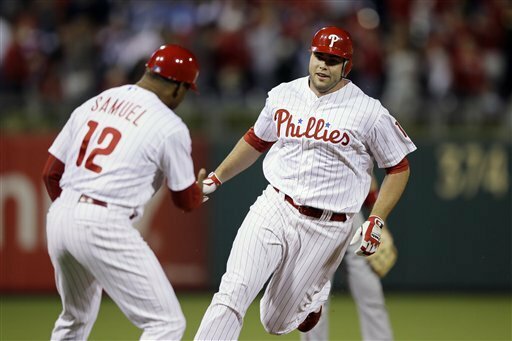 As Ryan Howard’s stellar career ends with a whimper, Darin Ruf’s may just be beginning. Ruf is no great shakes in the field, but the Phillies need his explosive bat. 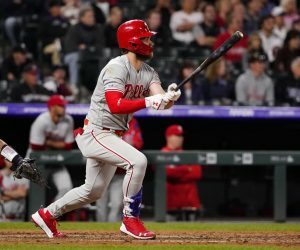 After going hitless in his first 11 at-bats this season, he blasted a pinch-hit solo home run to left field in the seventh inning Sunday afternoon at Citizens Bank Park. The first pinch-hit homer of his career tied the game in a 4-3 loss in 10 innings to the Nationals. It was just the Phillies’ second home run through six games. The Phillies could use Ruf’s power. 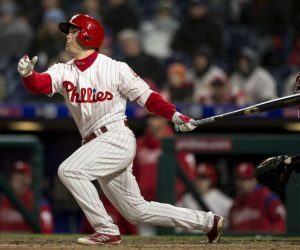 He entered the season having hit .251 with 21 doubles, one triple, 20 home runs, 48 RBIs and an .805 OPS in 447 plate appearances with the Phillies. He was the only Phillies player with 400 or more plate appearances from 2012-15 with a .787 OPS or higher. Ruf also had an .839 OPS against left-handers, which would seem to make him a strong candidate to platoon in left field or first base. First baseman Howard went 0-for-4 with four strikeouts on 15 pitches before Ruf replaced him in the seventh. He ended four innings with strikeouts, leaving runners in scoring position three times. Howard is hitting .150 (3-for-20) with three doubles, one RBI and seven strikeouts, but he is hardly the only Phillies hitter struggling. 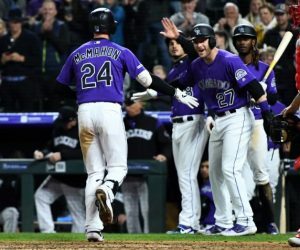 The team is hitting .214 with just 16 runs through six games. Ruf is working at it, too. The Phillies are looking for people to hit. There should be opportunities for others.